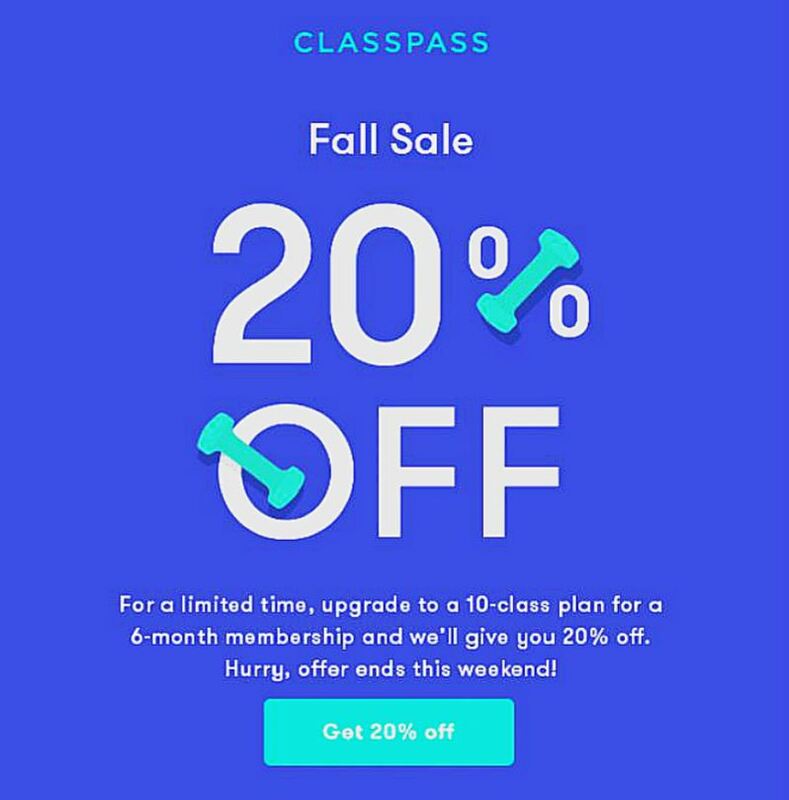 ClassPass is running a fall sale where recipients of their promo email can get 20% off the 10-class plan by signing up for a 6 month contract. It’s a great deal as long as you don’t plan on missing 20% of your classes in that half-year! So sign up and as long as you don’t skip out on 12 classes in that time frame, you’ll come out on top! This wasn’t the first time that ClassPass has run a 20% promo, but it’s the first we’ve seen that wasn’t targeted at re-activating inactive memberships. All 6 months must be used consecutively meaning no taking any breaks. Bummer you can’t rest, but think of the abs you’ll have! Your membership will renew onto additional 6-month plans at 20% off the then standard 10-class plan monthly rate (plus taxes). You can cancel in the last month of each 6-month plan. If canceled before the last month of the 6-month plan, the difference between the discounted rate and the full monthly rate for all months elapsed on the promotional plan will be charged.